Just How Toxic Is Screen Time? All signs point to the screen. Twenge’s research, newly published in Clinical Psychological Science, deals with the effects of screen time on mental health. Elsewhere, evidence is growing to suggest an effect on metabolic health. It prompted a new consensus statement from the European Academy of Pediatrics and the European Childhood Obesity Group. These groups describe a “strong link” between screen exposure and obesity. Their concerns are broad. They describe issues with pervasive food advertising on every type of screen. The solution is simple, they say. No unsupervised screen time before the age of four. After that, no more than 90 minutes of screen time per day. Twenge has similar recommendations. She grants that the evidence is not yet definitive. But, she says, the downside is minimal. And the downside of doing nothing seems quite high to her. So far, the evidence is quite distressing. Overdosing on screen time may indeed be toxic for both physical and mental health. Unfortunately, all of this concern springs from data that shows a correlation – not a cause and effect. Twenge concedes that reverse causality might be the issue. In other words, depression might be causing youth to spend more time online. Likewise, the data linking obesity and screen time are all observational. And unfortunately, we have little or no evidence that reducing screen time has an effect on BMI. Adequate studies are simply lacking. The presumption is reasonable. 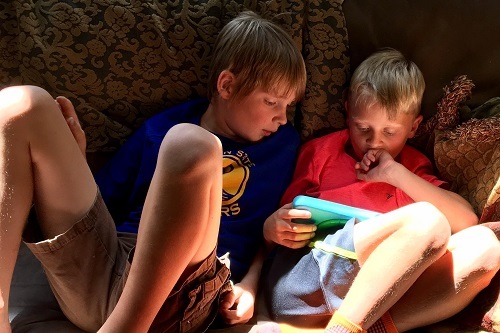 Excessive screen time might indeed be a dire threat to the health of generations to come. But presumptions alone are not good enough for making health policy. Ranting about the dangers of screen time might not be enough. Guidance that has an effect is what we need. We must collect hard data on interventions that work. That’s the best way to make the case and make a difference. Click here and here for more from Twenge. For the new consensus from Europe, click here. You can find more on the relationship between screen time and childhood obesity here, here, and here. Yup – little thought and analysis goes a long way. Cause or effect? Screen time or what’s on the screen? Much needs to be determined.